samtalksradio, DarkSkinSamurai, KingZaire_ and 5 others dapped this. Hadn't heard of this. Link? cantgetright, ReggieFlare, madness and 1 other person dapped this. madness and VegasCAC dapped this. Who are these teammates that don't respect Lebron? Kevin Love still hangs out with Lebron. Kyrie still has love for LBJ. Even players who were traded continue to show Lebron respect. 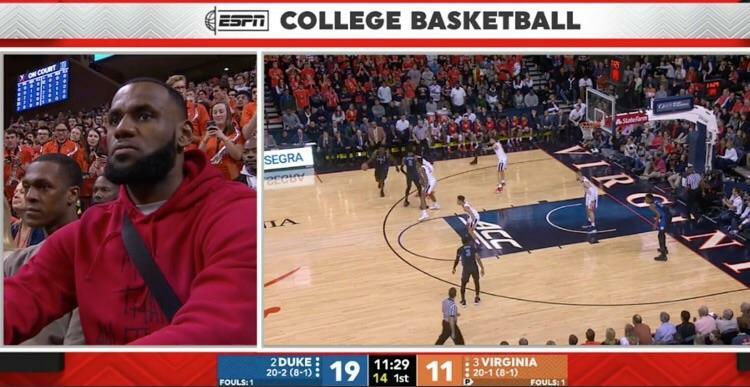 Rondo was just sitting courtside with Lebron at the Duke/Virgina game. Not only that he got JR, Iman, and Tristan paid. James Jones is a fukking GM right now. Damon Jones was an assistant coach. Ian_Carter, DarkSkinSamurai, KingZaire_ and 8 others dapped this. being a laker fan, of course i fukks with kobe heavy..but he was a known a$$hole and did not shy away from it. some teammates loved him and some hated him for sure. Born2BKing and manyfaces dapped this. premier58, samtalksradio, Jjc101 and 6 others dapped this. premier58, madness and staticshock dapped this. He was referring to the report that he stopped talking to Bryant during the postseason because Bryant’s wife, Vanessa, had contributed to the breakup of Gasol and his longtime girlfriend. Lakers fans will remember that Karl Malone once publicly accused Vanessa of interfering with his personal life in a similar fashion. premier58, samtalksradio, Jjc101 and 7 others dapped this. What we think is reality in regards to these people's persona's out in the "public" are just illusions a vast majority of the time. Do you get a glimpse of how some of these people think? Sure, in very rare occasions but these people (mainly high level "celebrities") have a very crafted and curated image to garner followers (worshippers). For instance let's take the word IDOL for instance, that is used a lot in regards celebrities or people deemed to be of importance. A lot of people aren't aware IDOL etymology means Deity, so literally the legion of fans (worshippers) are devoting their energy to this person. So I wouldn't put much stock into the image of someone we've only seen for a very small portion of time in front of the public eye, with much of it being controlled and manipulated to give us an illusion of whom this person is. Hence the team of handlers and "PR" people these celebrities have. LIKE SWAG USED TO SAY, SOME OF US CAN TAKE A LOOK AT PEOPLES EYES N SEE WHAT THEY ALL ABOUT JUST BY THAT. AND WE GET WAYYYY MORE THAN THAT FROM ATHLETES NOWADAYS. I WAS BORN IN LATE JUNE .. MY THIRD EYE VISION IS IMPECCABLE.